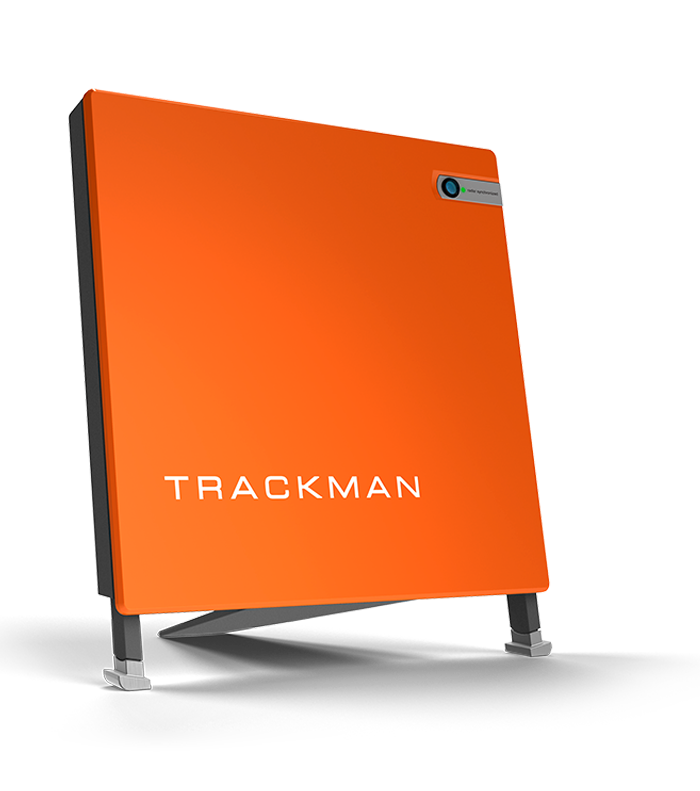 Thanks to its Dual Radar technology, Trackman 4 reads exponentially more data than its predecessors and competitors. Thanks to its ultra precisely directed, high resolution laser beams, the system offers the most detailed info about what happens with your club and golf balls at the moment of impact and afterwards. The incredible number of measurements allows a previously unseen precision in analyzing your swing, to offer you optimal fitting advise. It is the only club test that offers instant feeback on the entire ball trajectory from launch to landing, and this with an awesome precision, also taking into consideration the ball spin and the specifications of your golf clubs. 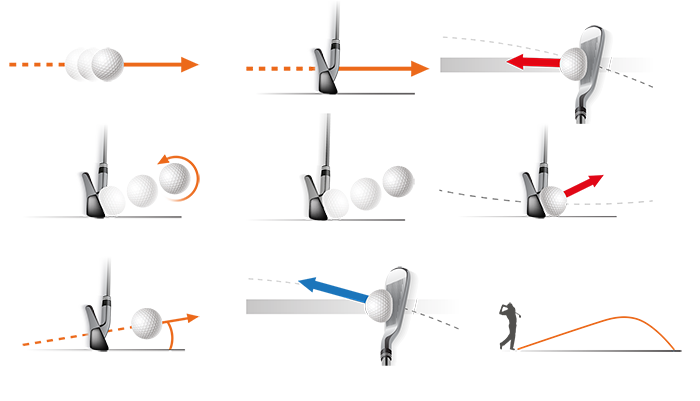 Trackman 4 measures swing after swing in nanoseconds, shows the exact landing location, and plots the whole trajectory in 3D on the screen. 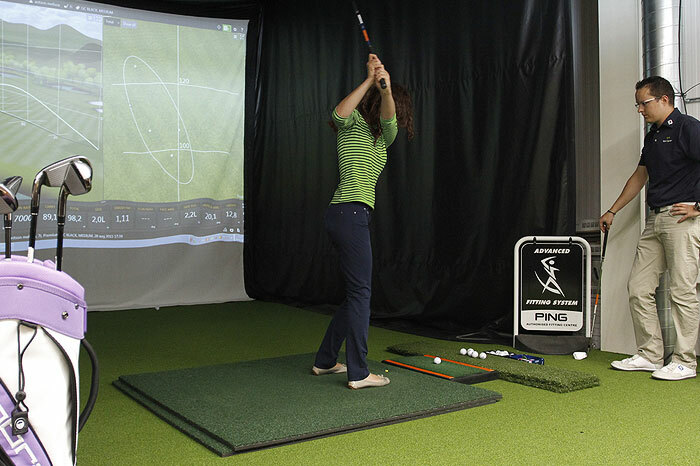 The system is the only one that is currently used for the equipment of tour pros and their coaches. The most important values are the speed of the club, the smash factor and the spin rate. Golf is not a sport of strength, but of kinetic energy: you make the difference not by hitting hard, but by developing the highest possible speed in the thousandth of a second in which your club strikes the ball. The faster and the more accurately you hit the ball, the better it is compressed. Golf is elementary physics: as a result of the impact of the club, the ball takes on the shape of a rugby ball in the air. The dimples act like the wings of an aircraft in this: they ensure that the ball is sucked through the air. That is also the pop, which you hear with the impact: the right pop means that you have hit the ball properly and with the right speed, which means it is sufficiently compressed and flies away. Beginners play best with softer balls, because they are easier to compress, even at a lower impact speed. Pros play with harder balls, because the speed of their swing is high enough to compress even these hard balls. AND WHAT CAN THIS TEST DO FOR ME EXACTLY? On a golf course, the player is the engine and the equipment in the bag is the gear box. In a supervised equipment test we compare which gear box we have to connect to your personal engine, and in which gear you can best drive in various circumstances to achieve the best possible result. For this we make use of the technicality of Trackman. A supervised Trackman test (only with appointment) costs EUR 75. This amount will be deducted upon purchase of the equipment, resulting from the test, within two weeks after your test.